There were 627 press releases posted in the last 24 hours and 153,551 in the last 365 days. New study finds that patients with heart disease cut their risk of a second adverse cardiovascular event by almost 50 percent, if they adhere to taking a statin medication as prescribed by their doctors. 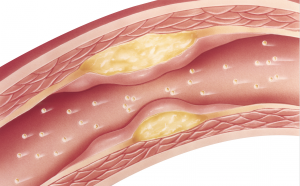 SALT LAKE CITY, UT, USA, March 24, 2019 /EINPresswire.com/ -- A new study has found that patients with atherosclerotic cardiovascular disease cut their risk of a second major adverse cardiovascular event by almost 50 percent, if they adhere to taking a statin medication as prescribed by their doctors.